The 1970s were by any measure an interesting decade for portrayal of Black men in Western media. America was listening to Sweet Sweetback sing his Badasssss Song, meeting the man called MISTER Tibbs, and learning just who was the cat that won’t cop out when there’s danger all about (talkin’ bout Shaft). To be sure, this was the brief window in time where the short-lived “Blaxploitation” genre was sweeping the country. And, of course, DC took advantage. 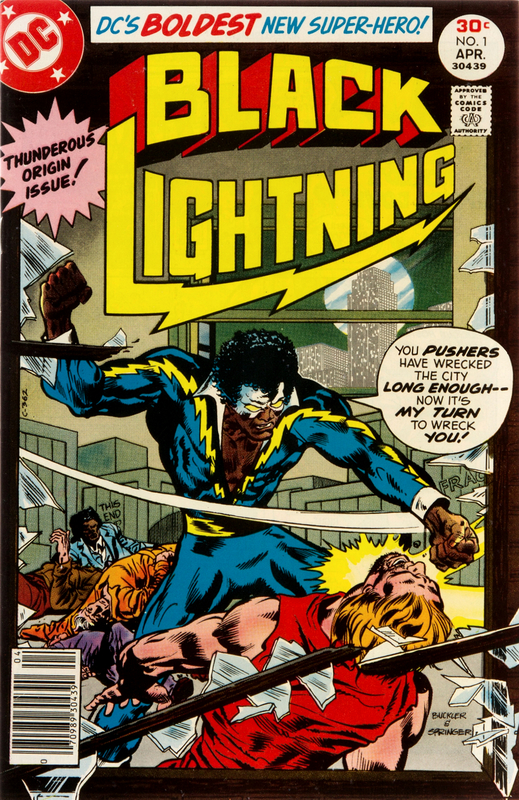 With his low cut v-neck and jive-talking dialogue, Black Lightning (Jefferson Pierce) was a hero who could have only been devised in the seventies. Unfortunately for Jefferson, the infamous 1978 DC Implosion came only a year later and took most of DC’s ongoing titles with it, including this one only eleven issues into its run. The series was never collected as a trade. 14 years pass after Black Lightning falls victim to the implosion, and the world of Black leading men is just as silent as the decades of DC’s history which spanned before the seventies. But it was only by revisiting this period that DC earned its second Black-led title: John Stewart, Earth’s third Green Lantern, first appeared in 1971 in the now classic socially conscious series, Green Lantern / Green Arrow. Although Mosaic would never prove as popular as the series from which Stewart originated (to wit, it has never been collected in trade form), the series has gained a large cult following for its existential themes, dealing with not only what it meant to be a Black man, but to be human at all. The series must have gone over the heads of the editors, though, as it was cancelled after a mere 18 issues. 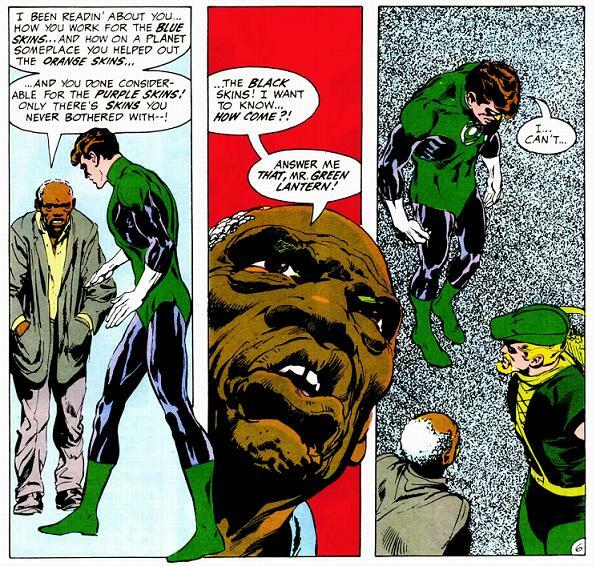 Black Lightning may have been the first superhero with his own book, but John Stewart was the first to be cast in a role independent of his race. John would later go on to gain popularity as the Green Lantern in Bruce Timm’s Justice League cartoon, but would never again have his own title. Any discussion of Superman in the nineties will inevitably begin with the Death of Superman arc. Readers everywhere were shocked to see DC’s most iconic character killed off — and yet, the title which bore his name would not be cancelled. Enter the Reign of the Supermen: not one, but four men rose to take Superman’s place. One of these men was John Henry Irons, the hammer wielding hero we would come to know as Steel. When the original Superman finally returned to life, as comic book heroes are wont to do, Steel packed his bags and moved back to his hometown of Washington DC, where he dealt more with gang violence, drug abuse, and pressing issues of inner city youth culture at the time than radioactive aliens and evil robots. 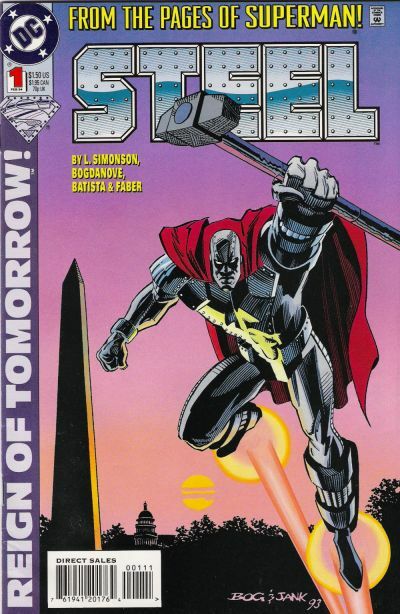 Steel has the proud distinction of carrying his own book longer than any other Black character, for a total of 53 monthly issues. You can find his first story arc, collected with his initial appearances after the death of Superman, in Steel: The Forging of a Hero. Though it had been seventeen years since his last solo title, the unexpected success of Steel allowed DC to bring back its original Black superhero to his own title. This one didn’t fare much better than the last, though, clocking in at only thirteen uncollected issues. Superman has Steel. Green Lantern has John Stewart. So why was Batman’s entire sizable network of operatives as white as the driven snow? Enter Orpheus, as introduced in this uncollected 5 issue miniseries. Originally a professional dancer, Orpheus would become Batman’s man on the inside of the Hill Street Gang, steering them towards a positive direction from within. At least that was the case for three years, until he was killed off during the War Games story line. So it goes. Two more attempts would be made to give Batman a Black friend, but we’ll get to that later. 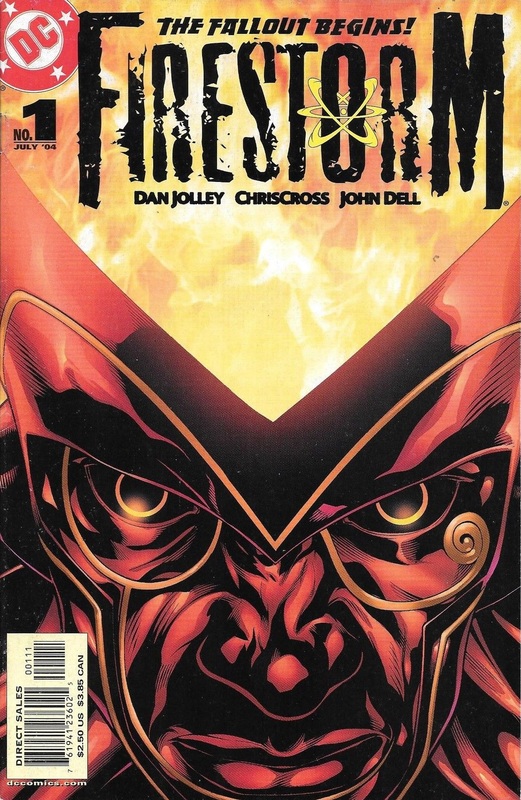 After the original Firestorm was unceremoniously killed off in Brad Meltzer’s Identity Crisis, DC took the opportunity to recast this powerful but largely ignored mainstay in their stable as Jason Rusch, a Detroit teenager from a broken home searching for a way out. Rusch’s quick wit and good humor has made him a fan favorite. Though his series was cancelled after 35 issues in 2007, Rusch has been an important character in his own right ever since, playing a major role in the Blackest Night and Brightest Day story lines — and finding his own title once again in The New 52. Firestorm’s post-Infinite Crisis arc, as covered in issues #23-27, is collected in trade form as Firestorm: The Nuclear Man Reborn. Crispus Allen, one of the lead characters in Greg Rucka’s cult classic Gotham Central, met a tragic demise near the end of the series. No one ever really expected to ever see the character again — until this street level detective found a new life as one of the most powerful cosmic entities in the DC Universe, assuming the role of The Spectre from Hal Jordan and Jim Corrigan before him during Infinite Crisis. This short three issue miniseries profiles his early days on the job as the new Spirit of Vengeance. Since then, Crispus Allen has gone on to become a central figure to the greater DC Universe mythology. The miniseries is collected along with Tales of the Unexpected within the trade Infinite Crisis Aftermath: The Spectre. In 1994, Kelley Puckett engineered one of many shake-ups in the Green Arrow family dynamic by introducing Oliver Queen’s estranged son, Connor Hawke. Though Connor has only one Black grandparent, he has become an important figure within communities which champion heroes of color in comic books. 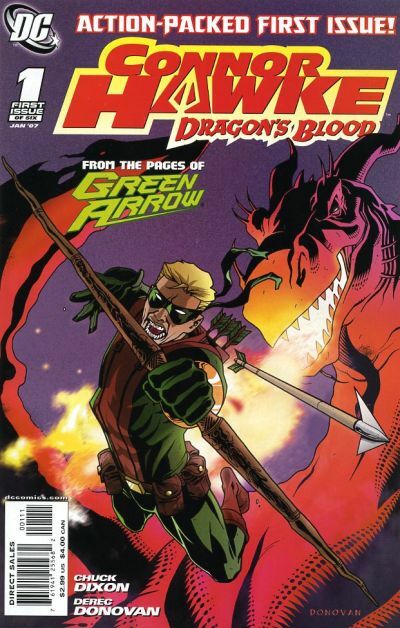 For over thirty issues, Connor assumed the role of Green Arrow in Ollie’s series upon his temporary demise in an airplane explosion, but would not receive his own title until this limited six issue series. For his pacifist demeanor, uncompromising honesty, and ironic lack of proficiency in ranged weapons, Connor remains a favorite in many circles despite having been written entirely out of canon. Connor Hawke: Dragon’s Blood is collected here. Quiz Time: which Black character has appeared in the largest number of DC Comics? If you guessed any of the guys I talked about earlier in this article, you’d be wrong: that title belongs to Vic Stone, better known as Cyborg. Cyborg rose to fame as a charter member of the New Teen Titans in 1980, and remained with the group for decades to follow: he even went on to become one of the main characters in 2005’s popular Teen Titans animated series, and 2011 would see him finally graduate to the Justice League proper. Strangely enough, 2008’s six issue limited series Teen Titans Spotlight: Cyborg, an initiative which gave several members of the team their own solo stories, is the only one which bears his name. 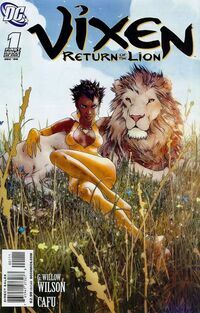 2008 also brings us DC’s first ever black female lead in the form of Vixen in her five issue limited series, Vixen: Return of the Lion. Vixen was first introduced in 1981 as a solo crimefighter in Action Comics, but since then has split her time between the Justice League and the Suicide Squad. What sets her apart from the rest, though, is that of all fifteen of these title headers, Vixen- real name Mari Jiwe McCabe- is one of two who can call themselves a native African. Return of the Lion sees Vixen return to her roots as she comes home to her village for the first time since she began her spandex-clad adventures. When most comic readers think of Azrael, they imagine the man who briefly assumed the role of Batman during the 1990s’ Knightfall story line. But in 2009, a new iteration of this character developed in ex-cop Michael Lane who finds himself as an instrument of righteous vengeance for the radical religious sect of the Order of St. Dumas. 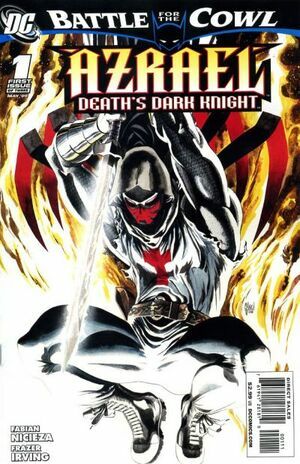 Introduced in his own miniseries, Azrael: Death’s Dark Knight, Michael Lane would go on that same year to begin his own ongoing series, the first for a Black character in five years, for 19 issues. His first ongoing arc is collected as Azrael: Angel in the Dark. 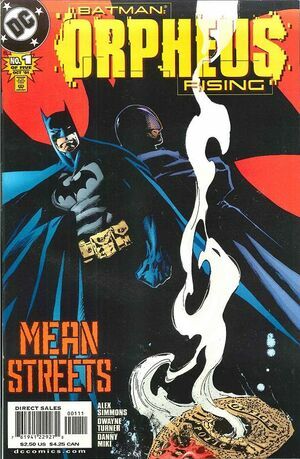 Since Frank Miller began the trend with Batman: Year One, the Year One franchise has become a popular device for exploring a character’s roots. 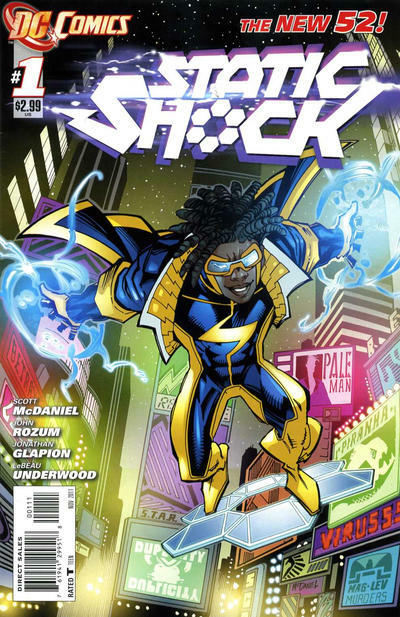 2009 sees the Year One miniseries treatment turned upon our old friend Black Lightning, who at this point had finally found new life as a central member of Batman’s Outsiders. 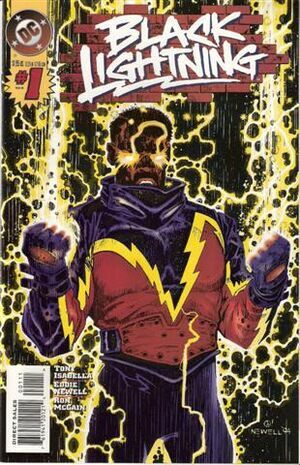 For those interested in the roots of DC’s original Black leading man, Black Lightning: Year One is a must read. Of course, the biggest thing going on in 2009 was Grant Morrison’s Final Crisis. Although today it is remembered as “that story where Batman kind of died but actually not really”, arguably the most interesting parts of the story were told from the perspective of Mark Richards, (barely) better known as the third iteration of the C-List Green Lantern villain Tattooed Man. As one of the few people on Earth left free of Darkseid’s Anti-Life Equation, this former US Marine turned hit man finds himself forced to answer the call of duty when the fate of humanity may rest in his hands. After the story climaxes in Batman’s showdown with Darkseid, the Tattooed Man’s subplot is left to be wrapped up in his own miniseries, Final Crisis Aftermath: Ink. Readers with particularly long memories may have noticed some omissions from this list: namely, the heroes from DC’s Milestone, Vertigo, and WildStorm imprints. I consider them beyond the scope of this survey: if you have to be segregated into your own continuity to be a DC superhero, that’s really not much of a victory. However, DC’s New 52 initiative saw these three imprints folded into the main DC Comics brand — as such, we may now welcome the beloved Static and WildStorm’s Voodoo into the family. Well, briefly, anyway: as of now, both series have been cancelled. 2011 would also see the return of Jason Rusch to his own Firestorm title, as well as two newcomers to the leading man scene. Batwing, real name David Zavimbe, is a vigilante sponsored by Batman himself to mete out justice in the Democratic Republic of Congo as his mentor does in Gotham City. 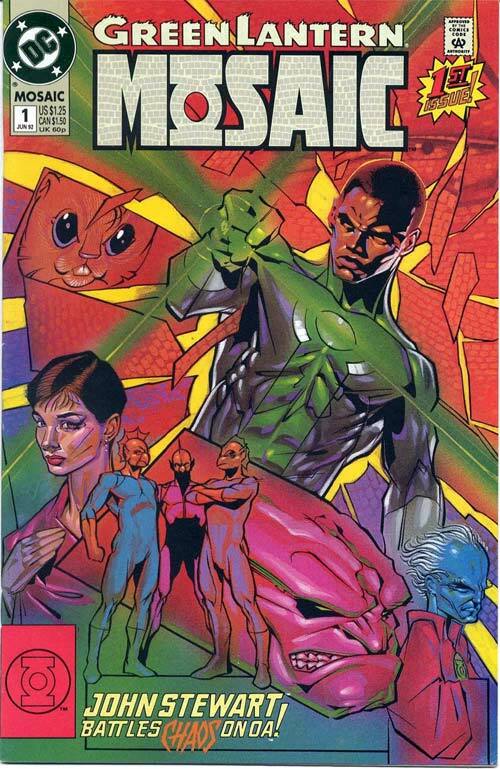 The other ongoing series features Mister Terrific, once the coordinator behind the JSA, before being cancelled 8 issues in and integrated as a cast member of the ongoing Earth 2 series. Glancing over this quickly before recitation, it looks great! Nice job, Alex. I can’t wait to read this over later. Great read. But I don’t think it’s fair to say Connor didn’t have his own title until Dragon’s Blood. That’d be like saying Kyle Rayner has never had his own title since he took over Hal Jordan’s Green Lantern run and has been in team books (GLC, New Guardians) ever since. Green Arrow was Connor’s series after Ollie died. Also, what about Grant Morrison’s Mister Miracle and Manhattan Guardian? Both had their own miniseries as part of Seven Soldiers. I’m pretty sure it was in continuity since Shilo popped up later in Firestorm and Bulleteer was in 52 and I think Wonder Woman. Again, I loved this post. Good stuff. Admittedly, Connor was a tough call. But ultimately, Green Arrow is a series predicated upon a White character which had a Black character retrofitted into it, so I didn’t think it was a pure enough choice. As for the Seven Soldiers series, I was sure someone was going to catch me on something I missed! I’ve never read this series, and I kind of dismissed the entire project as team-based, but I guess I didn’t look deep enough into it. Maybe I’ll finally buckle down and give this a read as penance. Seven Soldiers as a whole is definitely worth a read, but the minis all work as separate stories. I don’t blame you for not mentioning it, I probably wouldn’t have caught some of the Batman stuff since that’s not my preferred mythology. I see your point on Connor in terms of whether he really got to have his own series until Dragon’s Blood. But I think DC really considered him THE Green Arrow at the time, not a placeholder like Steel was for Superman, so I feel like that legitimizes his hold on the GA title.